From the stable of FBN/LoopNationInc Int'lDjkell (OGaLoop) is here with a mind easing mixtape as it's a season of love, Roses&heartbreaks will be everywhere whichever mood you find yourself. 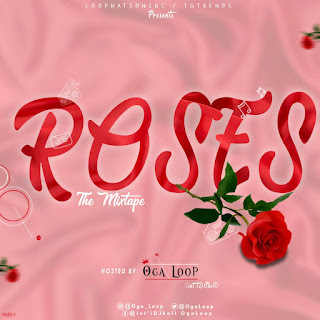 There is just one solution to that and it's #RosesTheMixtape. Love you by Nelly ft KellyRowland. Take a bow by Rihanna. Hit the Download button below and let's have your say on this Mixtape. God bless you. Feel free to comment.